Signed and dated l.l., "J.H. Mole 1867". 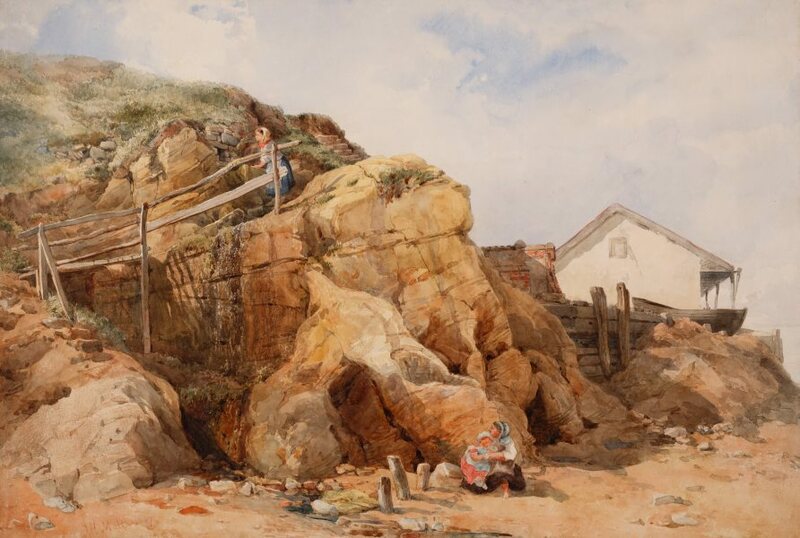 Victorian watercolours from the Art Gallery of New South Wales , Sydney, 2017, pp 140–41, col illus p 141. National Art Gallery of NSW illustrated catalogue , Sydney, 1917, p 68, no 11. Revised editions 1918, 1919. National Art Gallery of NSW illustrated catalogue , Sydney, 1906, p 71, no 14 or p 82, no 72. Revised editions 1908, 1910, 1912. Catalogue of the National Art Gallery of New South Wales with illustrations, drawn by E L Montefiore, Esq, and others, published by sanction of the Trustees , Sydney, 1888, p 61, no 36 or p 64, no 69.